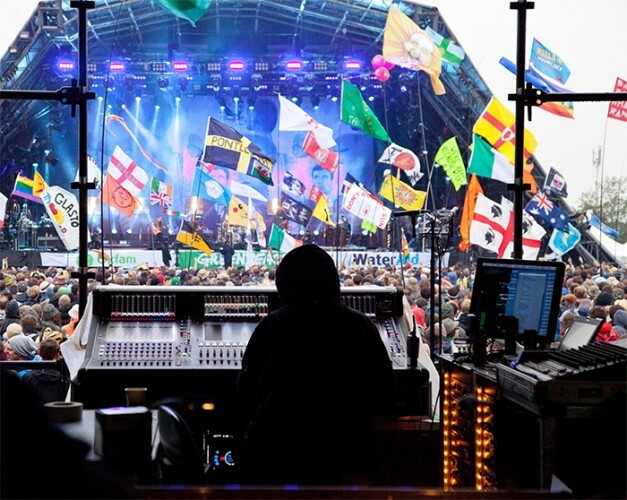 "Despite the popularity of our consoles, it’s still relatively unusual for bands to take their own equipment into a festival, due to the restrictions imposed by the quick turnarounds between sets," says DiGiCo managing director James Gordon. "The fact that three top class bands are insisting on taking their DiGiCos into a festival as vast as Glastonbury shows just how much they have come to rely on the ease of use and great sound quality of our products." "I only use DiGiCo consoles, so I will be using my SD7, while our monitor engineer John Shearman will be taking his SD10 on stage," confirms Pumpkins front of house engineer Jon Lemon. "There's nothing else that works for me at this point and they’re still the best sounding live console there is."